We will never solve the problem if we keep talking about the same things. In recent months, I am very pleased to be working with Clare Hanbury, a close associate, on a new approach for adolescent behaviour development. We think this approach will help those who are wanting to empower and engage children and young people in order to help solve health issues and problems that affect them. We think that this approach is widely applicable. In this post Clare and I look at the problem of ‘knife crime’ in our own country and reflect upon the relevance of the approach. We would love to have your comments and suggestions. In the past few weeks, knife crime is all over the headlines in the UK. Whenever this happens, a flurry of people tell us they have the answer, others tell us that the lack of police officers on the street is causing the problem and some blame modern society for the rise in violence and knife crime. One notable thing missing in all these discussions is the voice of young people. The adults as per usual step in with the solutions. But here is the thing - as an ex police officer who worked with young offenders for most of my service - I can say without reservation that there is no one answer and more police officers on the street will not solve this problem. Hear me out a minute! To assume there is one reason that all young people carry and use knives and therefore there is one answer is at the best arrogant and at the worse dangerous and stupid. For me there are answers but there are questions, questions that we should be asking strategically and tactically. Questions I haven’t heard discussed in the mainstream media or in fact - anywhere. 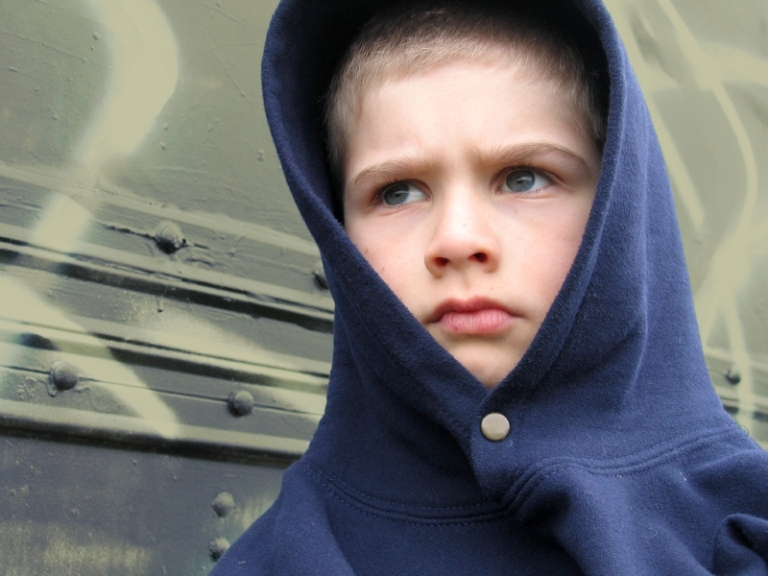 · If knife violence is on the rise, then what made our young people identify themselves as knife carriers? · What is more important to these young people than not carrying and using a knife? These are the questions I asked myself, I asked the system and I asked the young people when I worked in the police. As you can imagine the answers were as nuanced and different for each person as they would be if I asked you to tell me who is your favourite music artist? Sure, there may be similarities in some answers, there may be things that continually crop up, but we can’t forget that carrying a knife and then using a knife is above else an individual choice. To deal with ‘the problem’, we must see young people who choose to carry knives as individuals and make them part of the solution rather than just ‘the problem’ that needs fixing. It seems when we talk about knife crime if you take out the political ‘we need more police on the street’ argument people tend to cite several reasons. Some will cite that young people carry or carry and use knives because they feel alienated from society. Does every young person who feels alienated carry a knife or carry and use a knife? Of course, they don’t! For some this may be the key reason. For others the feeling of alienation might affect them in another way or not at all. Others say carrying and using knives is to fit into the norms of the gang. While this may be true and certainly rings true in many of the cases I met in the police - now I would ask - Is that true for all or even most young people in gangs? Some will cite self-protection which again is valid but then every young person who feels the need to be protected would carry or carry and then use a knife. And I don’t know about you but when feeling vulnerable thinking I might be in danger I’ve never reached for the knife drawer. Some will talk about image and how carrying a knife makes young people increases their status, makes them feel ‘cool’. Yes, for some it might but there are others who want to feel this too but who don’t resort to knife carrying! Others will cite the environment that they live in, their families, their schools. And while there are certainly lots of studies into the impact of environment on crime (the use of colour, stimulation and beauty to make people feel better about themselves) but if this was really the case then surely everyone living in the same environment or attending the same school would carry a knife. I won’ t go on as I feel you must see where I am going here. We cannot blame one thing. If that one thing was to blame, then we would be seeing the behavior in everyone with similar circumstances and that just isn’t the case. Humans are complex and unpredictable. We do things for a variety of reasons; we form our identity in many different ways and primarily we do things because for us it meets a need. Maybe that need is survival, maybe it is belonging, maybe it’s a feeling of control. For some maybe carrying a knife is fun and for others carry a knife might make them feel free. But for each person the reason will be different and to change or develop behaviour we have to examine how that young person sees themselves. We are not simply asking them to put down the knife we are asking them to stop seeing themselves as a ‘knife carrying’ or ‘knife-carrying-knife-using’ young person. And we won’t know how to help young people unless we ask. From all the work I have done in the police, the answers will be as nuanced and different as people are. Sure, we might need to create better more uplifting environments for young people, sure we might need to look at school exclusions and how we as communities listen (or don’t) to hear and help young people. Sure, we might need more police in the area. Sure, we might need to cut down on low level crime with no tolerance policies and sure we might need more stop and search. These might all help but they also might not. We need to see these knife-carrying or knife-carrying-knife-using, violent young people as just that, - young people- and work with them as individuals in groups and communities to put the problem right. In recent months Sarah and I have been developing an approach to adolescent behaviour development. We use the word ‘development’ vs change as children and young people are in the process of becoming and more susceptible to interventions that can develop their skills, attitudes and behaviour. Children for Health has developed an approach which includes a set of activities for educators, children and young people themselves to interrogate a health problem or issue (like knife crime). Having done this, they are positioned to propose and agree interventions and given opportunities to explore how this intervention might need to be adapted to fit with their own circumstances. · do not wash their hands with soap at critical times. …and we can add, ‘carry’ or ‘carry-and-use knives’ to this list. 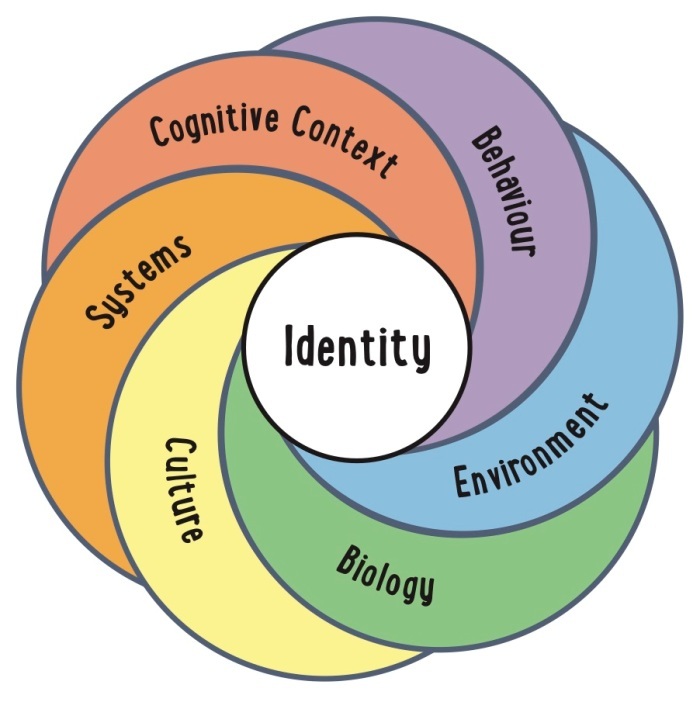 At the heart of all of these issues is a question of identity – the individual’s, the group’s or the community’s and what is being chosen instead of the behaviour that would better protect health and well-being. We have devised a way to look at a specific issue within 6 distinct categories. This is set out in our ‘Rainbow Circle’ diagram. Using this, we deeply investigate the space that exists between the current behaviour we seek to change and the behaviour we want. In this case - the identity of a young person who would never consider carrying a knife let alone use a knife and a ‘knife carrying’ and a ‘knife-carrying-knife-using’ young person (these might be two distinct categories). We then need to carefully plot the pathway between those two remembering too that a child and young person develop and change all the time and especially during puberty where participating in risk-taking behaviour is both normal and valuable. Guess how we do this? We do it WITH the very group vulnerable to ‘knife carrying’ and ‘knife-carrying-knife-using’ and find out with and from them what factors are leading to ’knife carrying’ and ‘knife-carrying-knife-using’. We do this in exactly the same way that we might find out about the use of soap in the family, bed-nets and diet. We need to support our skilled facilitators of this process – and train and support them. Its intense and difficult work. We may not like what we hear. Instead of this what usually happens is that policy makers and experts second guess the reasons, design interventions based on bias or ‘intuition’ and who spend a lot of money in the process. The well-meaning come up with supposed evidence-based interventions such as ‘stop and search’ but hang on – isn’t there a crisis in even the most well-regarded psychology and social science research studies? Instead of sighing and wringing our hands and making huge efforts to come up with the right thing, how about not coming up with anything at all except a huge expansion of opportunities to connect with young people – in schools, in communities, in youth groups and conduct ourselves in a way that ensures these young people feel able to connect with us. In so doing we will also learn how culpable we all are in creating a society where violence is becoming a norm for our young people and find out from them a whole raft of ways in which we might be able to help. For more information on the work of Children for Health and on our Rainbow Circle approach and how this approach can work in your setting, please get in touch with us. Where are all the girls with swords?